We invest hundreds of millions of dollars each year in entrepreneurs with a healthy disregard for the impossible. we believe in your idea and we buy into your optimism. Our seed investments empower entrepreneurs to create novel new businesses by coupling initial capital with access to our proven team of company builders. KPCB seed investments typically range from $100,000 to $1 million. a16z has raised $2.7 billion since its founding in June 2009, and currently has a portfolio of 90 consumer and enterprise technology companies across all stages, including Airbnb, Box, Fab, Facebook, Foursquare, GoodData, Lookout, Lytro, Magnet Systems, Nicira, Pinterest, Silver Tail Systems, Tidemark and Zynga. 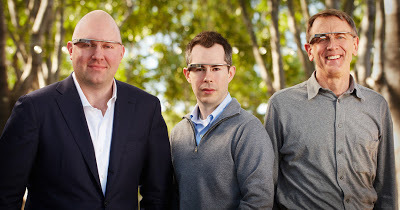 Google Glass is a brand new device and entry point to the google eco system that is not even accessible by the public but it already attracts investors for Google Glass Start Ups who want to develop Apps that change how we access data on the go.